Coverings 2016 opens Monday, April 18, for another four-day run at McCormick Place in Chicago. North America’s largest stone and tile expo is bigger and better than ever, with more than 1,100 exhibitors lined up for this year’s edition. 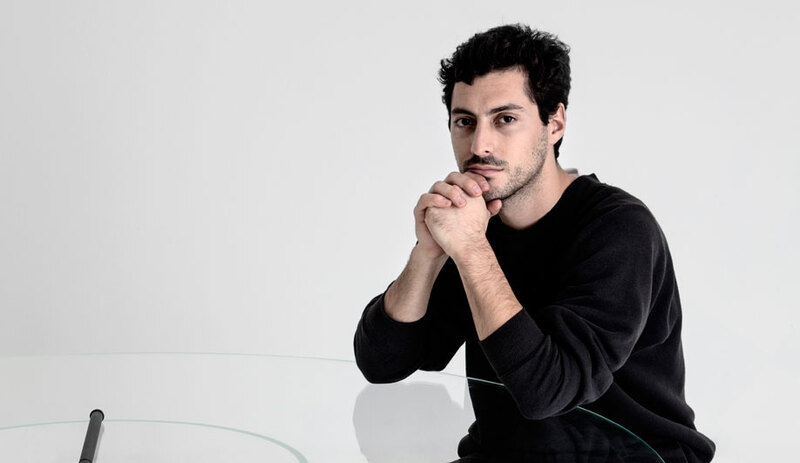 Here’s a sneak peek at some of the products you’ll see from top Italian brands such as Casamood, Brix and Sicis. 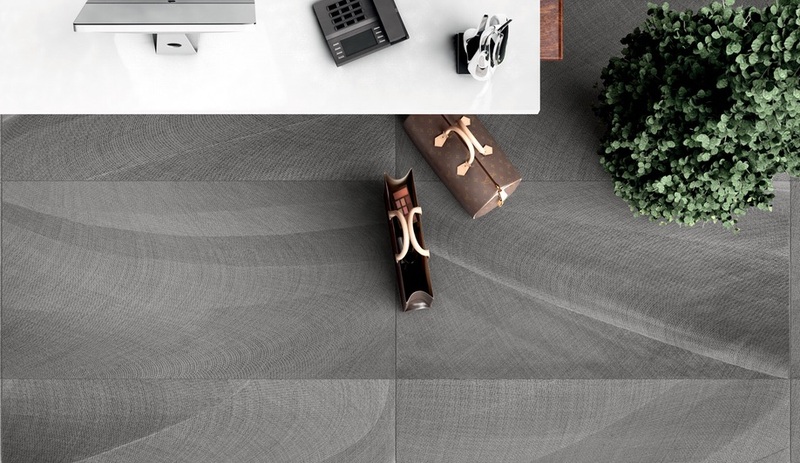 Swirling and subtle shading plays up the textures of these porcelain tiles, available in Bianco, Grigio, or Anthracite) and five sizes. 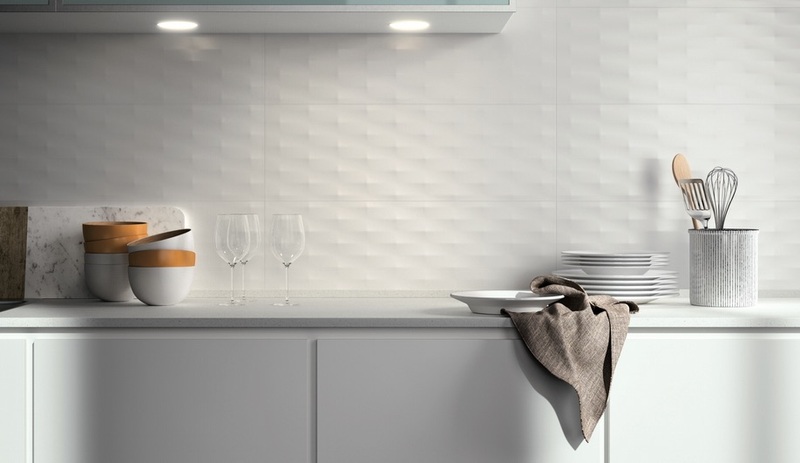 This light-catching line combines an all0white palette with four 3-D texture options. They’re in a 10-by-29.5-inch format and a glossy finish. 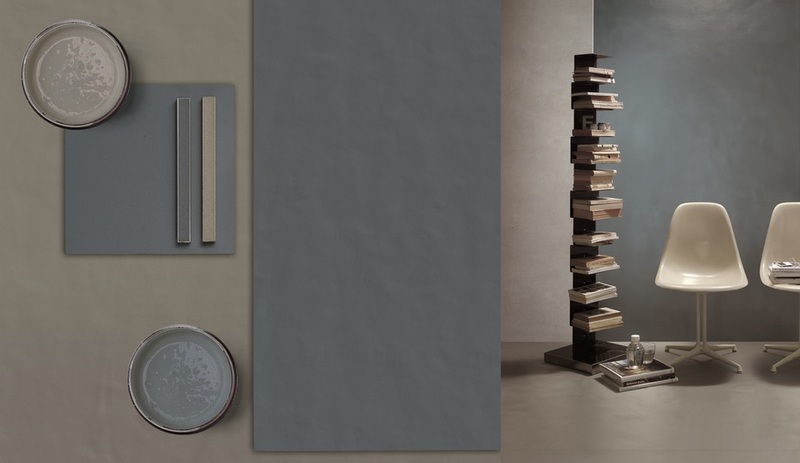 The latest addition to the Neutra family of concrete-coordinating products adds bolder new colours to the neutral options previously available. 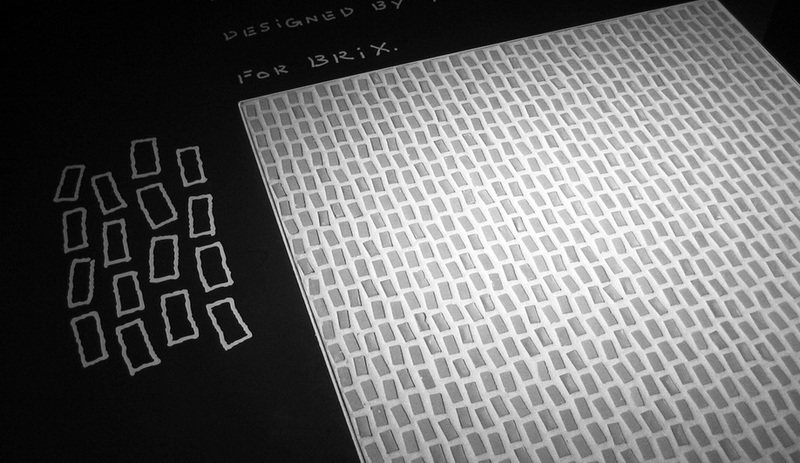 The line includes glass mosaics and 94-inch long slabs in four widths. 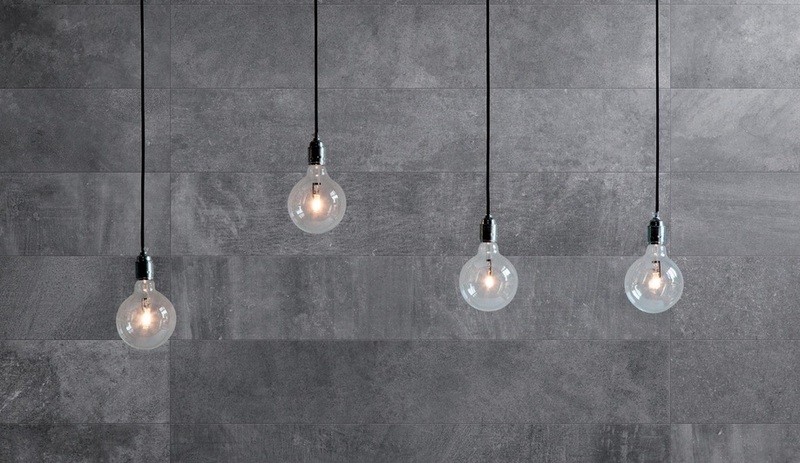 Mimicking the look of a timeworn surface, Elapse is available in six sizes and five colourways: Neutral, Mist, Oyster, Pacific, and Cave. 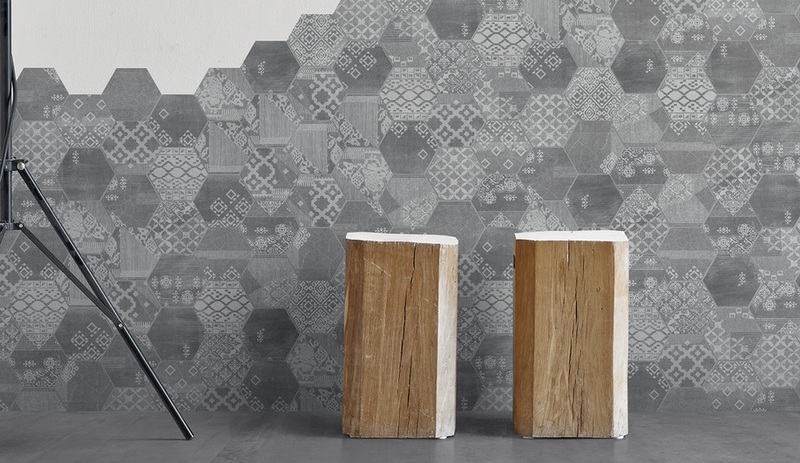 Originally launched at Cersaie last fall, this geometric three-dimensional collection is worth a second look as it makes its North american debut. 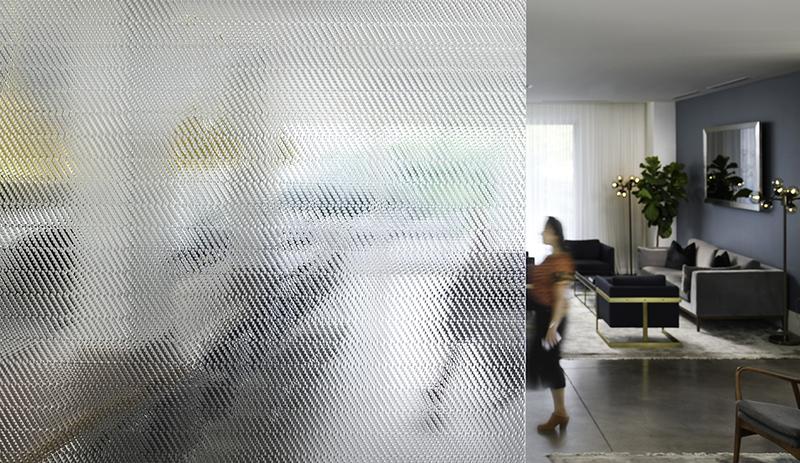 The iridescent and opalescent glass forms striking kaleidoscopic patterns. This unique line combines plaster with a gauze binder to form tiles in Natural White, Taupe Linen, Pearl Grey and Velvet Black. They’re available in patchwork and mosaic styles. 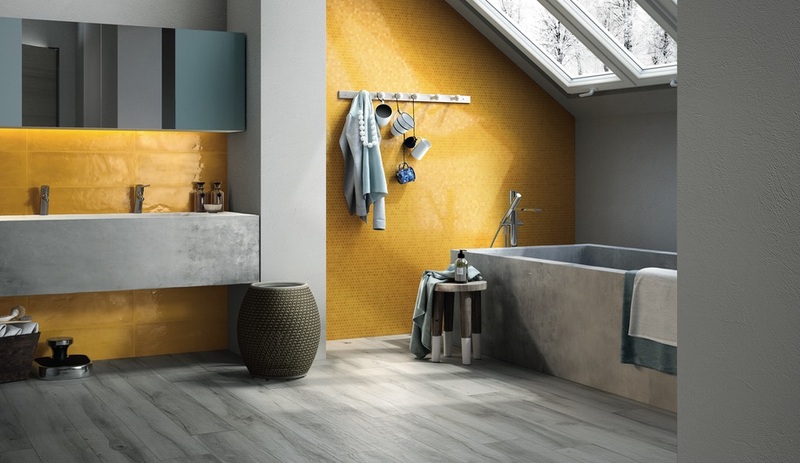 The bright hues of these 8-by-24-inch tiles, including bold sunset yellows and vibrant greens and blues, are all inspired by the natural colours of the Mediterranean. 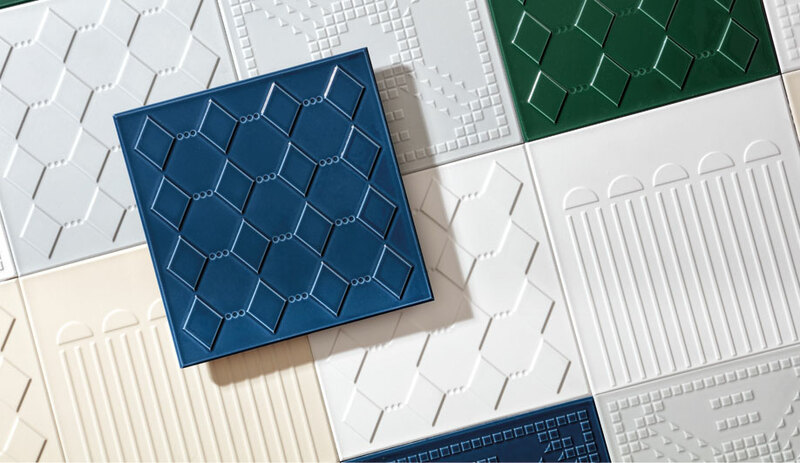 Nendo applies his minimalist aesthetic to tiles with this micro mosaic collection. 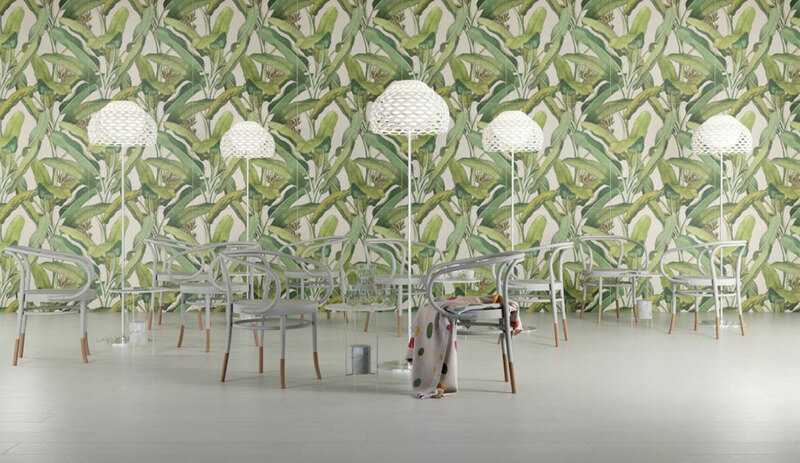 The rectangular modules form simple or complex patterns in muted neutral tones. 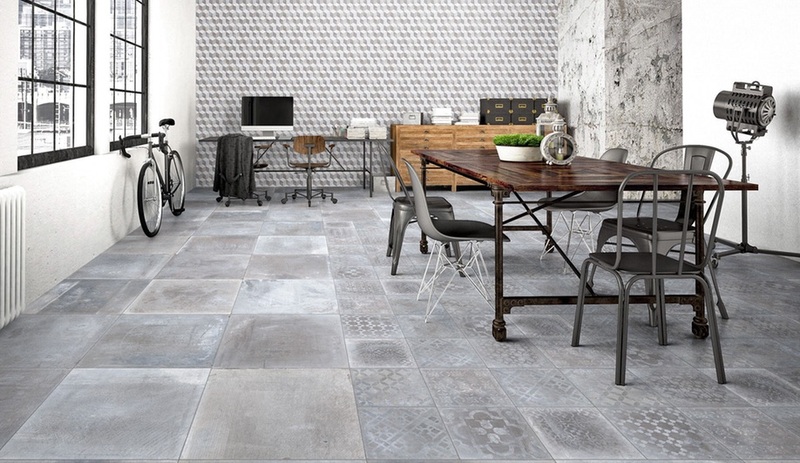 A variety of decorative patterns are inkjet printed onto worn-look porcelain tiles in natural stone colours. 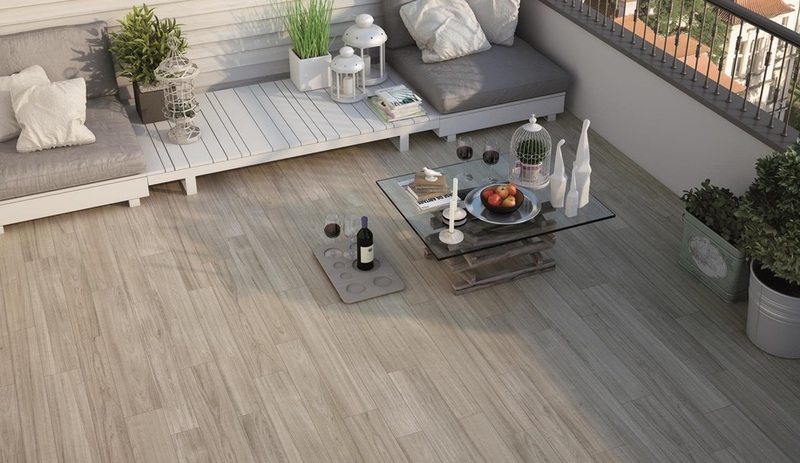 Sturdy enough for outdoor use, these glazed porcelain planks offer a subtle wood effect in five colour options. Coverings 2016 runs April 18 to 21, at McCormick Place, Chicago.